Back in March, we wrote about this interesting mobile app called dilivrIt. Let’s take a quick jog down memory lane. Created by Natalie Ip, dilivrit is a mobile platform providing individuals and businesses with on-demand, hassle-free delivery services while filling up the idle time of existing couriers. What it essentially means is that, if you need someone to help you deliver or pick up some items, dilivrit is the app you need to check out. When we spoke to the team back in March, there were about 40 freelance couriers in the system vetted and ready for any delivery services. The team was focusing on narrowing down to delivering items in verticals such as fashion and beauty, alcohol and delicacies, gadgets and gifts, as well as health and fitness. “We aim to become an addictive every day habit for busy people who value their time,” team leader Natalie Ip told Vulcan Post. 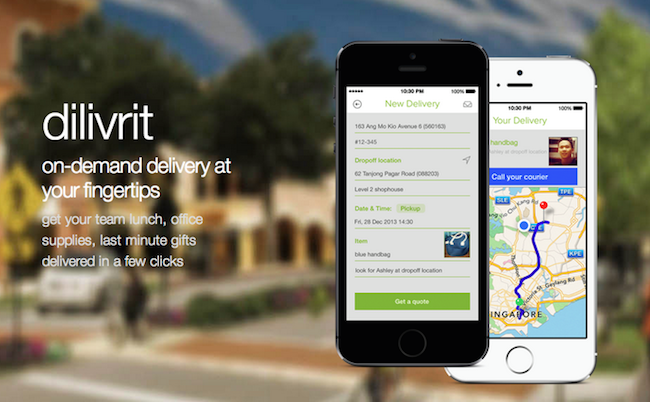 Fast forward 5 months later, dilivrit has a few updates for users looking for delivery services as it turns 1. With regards t0 couriers, it has almost doubled its couriers to over 70 available couriers. “While the number is not as huge supply as the other apps have, we only keep the best couriers given we require them to have a higher service level than any other services there. Regarding transactions, all I can say we are still doing very low volume, lesser than 1000 total deliveries to date,” Natalie told Vulcan Post. On top of that, the app is also now integrated with credit card payment powered by Paypal. If you didn’t have a Paypal account to proceed further earlier, now you can simply update the app and pay in-app with your own credit card. 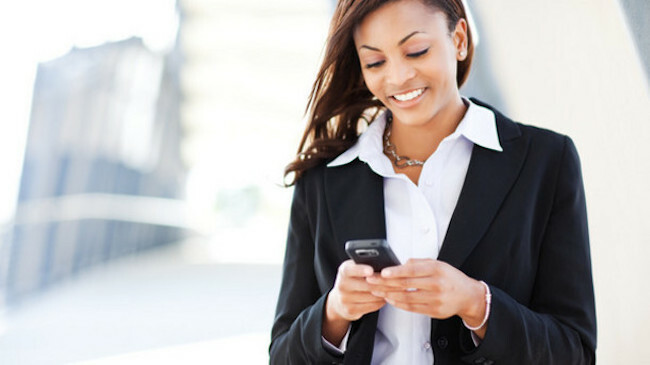 You can even save your credit card details in-app for frequent delivery needs. With the update, we can’t help but ask Natalie to elaborate more on enabling credit card information storage in the app itself. From our understanding, storing credit card information in any mobile app requires independent third party auditors as well as added layer of securities, and as a result of that, a high cost is incurred. 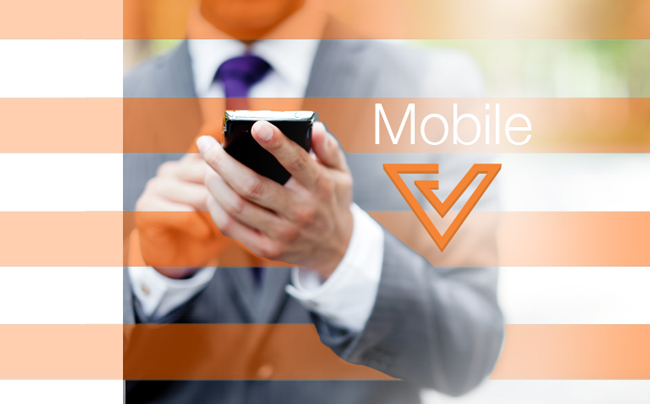 Many mobile apps choose to then forgo this option. According to Natalie, that’s not the case for dilivrit. “Our credit card integration function is currently powered by Paypal given the ease and no extra cost of the setup. We have discussed with players like Adyen, Braintree (Paypal’s) and even Cybersource (Visa’s), and will work with one of them when we have enough sales generated to support the initial set up fees and the minimum transactions required. But for now, yes once the user has entered their credit card details the details will be saved for subsequent deliveries,” shared Natalie. Natalie added that if you opt for international players, you would need to prepare for business plan, bank statement and ACRA documents to prove that you are a legit company. You would also need to apply for a merchant account with the bank you are with in addition to the normal integration required. These payment partners will then help handle the rest for you as they would have PCI compliance sorted and an acquiring bank partner for you. “Otherwise if you already have a Paypal business account, all you need to do is to get the Paypal team to underwrite for you and answer a few questions, and integrate the credit card function yourself. The downside with Paypal is that you can only save details for one credit card,” Natalie told Vulcan Post. Dilivrit just had their first birthday on 18th July, you can use the code “WHATAYEAR” in the app for 10% off your next quality delivery with dilivrit.